"How to boil water? " If the container is small and if it could not accomodate 1 Litre of water, then you can use more than one container for cooking. The reader is requested to stop oggling at the picture and continue reading. 10) To test if water is boiled or not, the cook can immerse his/her right index finger inside the container ( Remember! Only the right hand) . 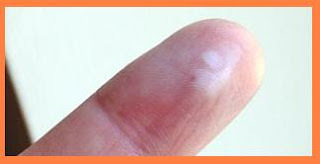 If heat-boils appear on the finger, then you can be assured that the water is indeed boiled. I had absolutely no clue that boiling some water required so much work !!! OMG!! This was outright hilarious!!! LOL, ROFL, and whatever comes beyond that! come check my LOVE post. Dint knw boiling water involved so many steps!! That indeed did make me smile! Now I am confident of boiling water, it was very useful..expecting the match stick procedure next time!!! thts a strategic fotograph! u just abt cut of the cleavage u u uuu..
"y is FIRE engine RED in color? Apparently this is the ENGINEERING STUDENT'S pattern f writing the exam..."
thought i had read all your posts :) random post helps..